Golf is a fun past time for me. Matter fact, the thing I love most about golf is hanging out with my father. Along with playing with my father, I enjoy playing golf because there are many lessons to learn about life from golf. Today’s blog will deal with the framework of success. 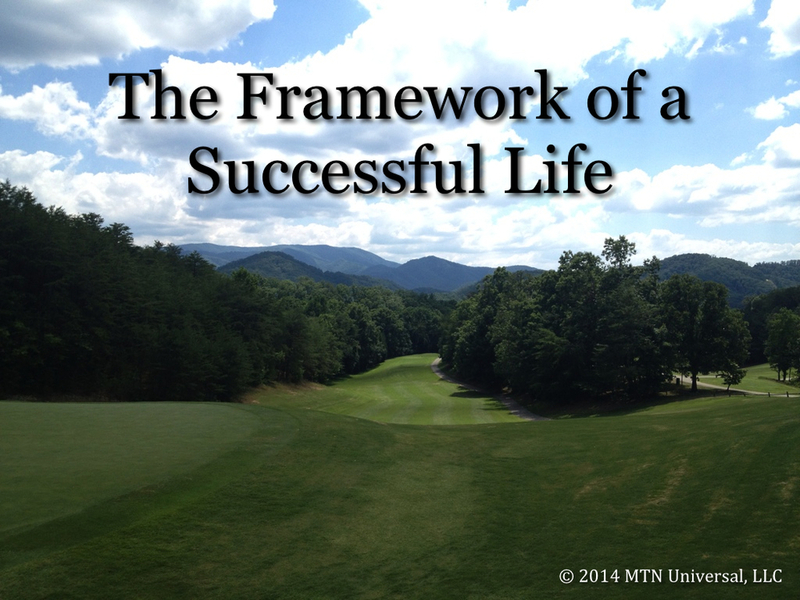 Everyone wants to live a successful life, but what are the key components to your framework. Let me share a few golf tips that will help you with building the framework for your successful life. On the golf course, there are some shots that are just plain impossible. In some cases, even with great creativity you will find yourself in a unproductive situation if you attempt to take any kind of short cut on the golf course. In life, short-cuts will never lead you to success. There’s a normal process to every successful life. Many times this process includes actions of drive, determination, decisiveness, and discipline. You will need these 4 D’s if you are going to be successful with anything in life. Although you may have the ability to make the impossible shot in golf, the risk of missing the shot will leave you in a world of trouble. Some times doing what it takes is making the basic shot in golf. How does this apply to our daily lives? As humans, we tend to make some things more complicated than they really are. Many situations in our lives only need a simple decision and a simple action. I have never played a game that required focus like the game of golf requires. Golf requires you undivided attention every shot from the tee box to the time the ball falls into the cup. Life is no different. Every moment of your life requires you to be locked-in from the time you open your eyes in the morning to the time you close your eyes at night. There are many people and thing depending on your focus. In spite of the many things you must think about to have a successful round of golf, the one thing you must do is enjoy yourself. I never forget the real reasons why I love golf. Don’t let the seriousness of life cause you to forget why life is good! It would be ashamed to be blessed with life, but fail to enjoy it. Whatever you do, take time to enjoy the good and bad. Make the most out of every opportunity and enjoy yourself while you are setting up your framework of success.